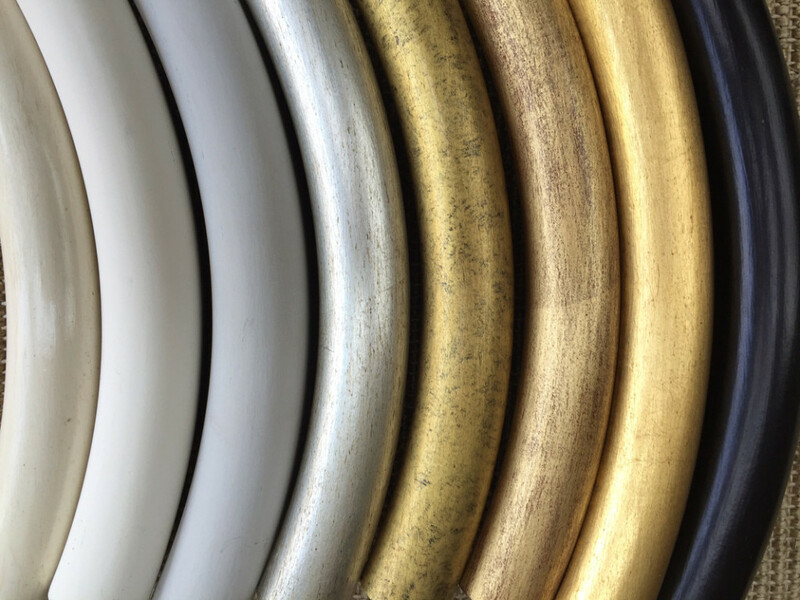 We offer a wide range of finishes from chalky, tinted gesso shades to traditional gold and silver metal leaf, highly polished ‘bone’ and rich ‘ebony’ black. We can also colour match any shade of your choice. Frames are hand-finished in our London workshop by our team of gilders who have over 20 years experience in this specialised field. Traditional gesso is applied in layers to each frame and finely sanded between coats to create a smooth base, ready for finishing. Dutch Gold metal leaf gilding on a gesso and black bole base. A mellow, warm gold with a waxed finish to give a subtle, antique look. Dutch Gold metal leaf on a gesso and red bole base, distressed to provide a more aged patina. A softer, golden-bronze tone, our Antique Bronze finish offers a stippled matt effect over a gesso and black bole base. Silver metal leaf gilding on a gesso and black bole base. A warm, soft silver finish that is waxed to give a subtle antique look. Silver metal leaf on a gesso and grey bole base, distressed to create a gently tarnished appearance. Unadorned, plain gesso applied in layers and gently rubbed back, creating a clean, off-white, chalky matt finish. Pigment tinted gesso applied in layers, in a classic chalky-grey shade that will complement any interior. A rich, creamy, off-white finish with a subtle sheen created with layers of gesso, polished and waxed, to produce the look of natural, aged bone. A traditional ebonised black finish, slightly rubbed back to allow the warmth of the red bole to subtly glow beneath the rich, black finish. All our mirrors can be finished in a bespoke colour of your choice. We can match any shade – colour options are limitless, or we can suggest suitable tones for your mirror. 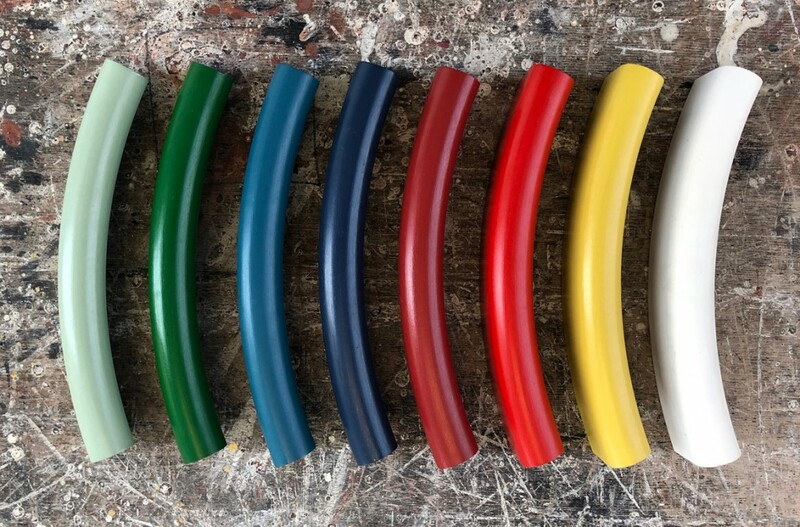 Using our traditional gesso base, colour is applied in multiple layers, finely sanded and finished with a wax polish to create a rich, glossy tone.